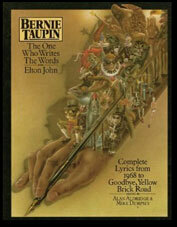 In 1976, Bernie Taupin published a collection of his lyrics for Elton John, accompanied by black and white illustrations corresponding to the selected texts, and entitled Bernie Taupin. The One Who Writes The Words. Having heard about that book at its project stage, I produced spontaneously two illustrations, one for the song Mona Lisas & Mad Hatters (Honky Château album) and the other one for I Am Going To Be A Teenage Idol (released on the Don’t Shoot Me I'm Only The Piano Player album). None of these works were eventually retained. to figure in his book, so no illustration was needed. 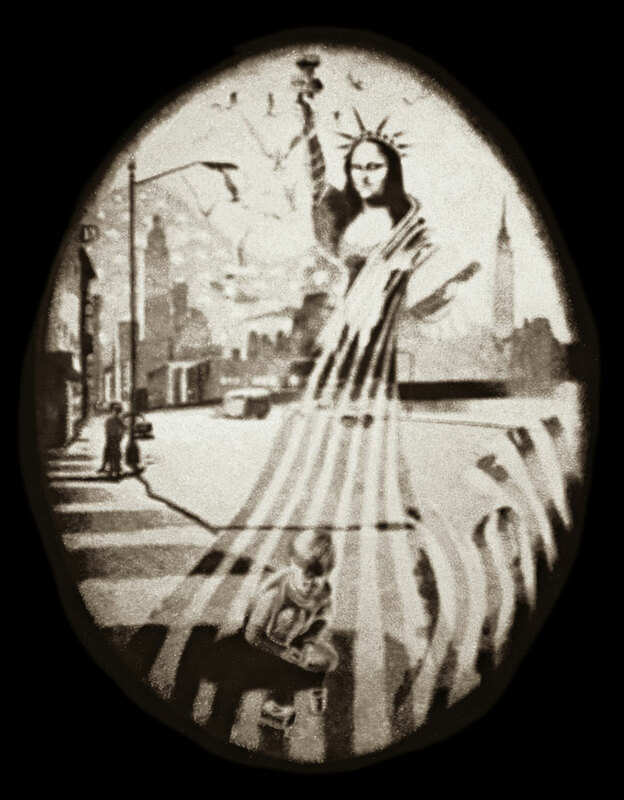 As for the Mona Lisas & Mad Hatters illustration that was selected and that appears in Bernie Taupin's published edition, it is the British actress Gillian Hills’s work.